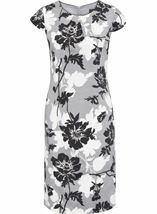 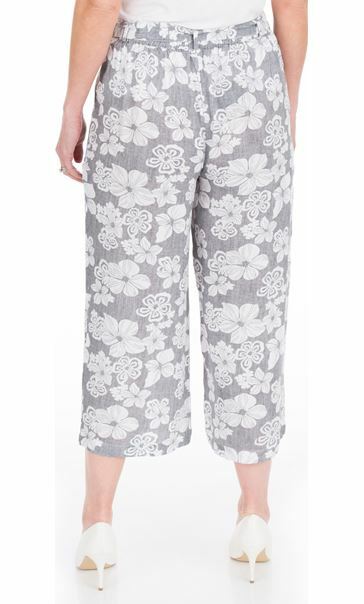 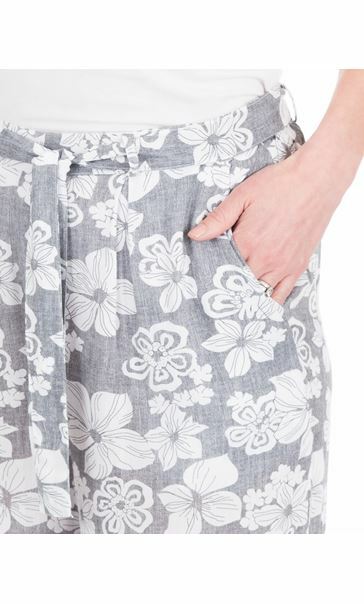 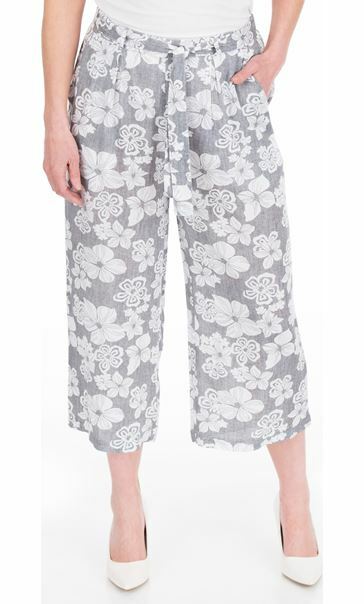 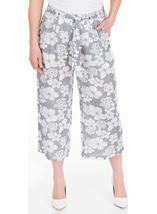 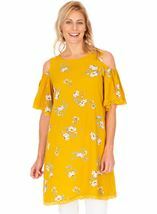 Grey and white floral printed wide leg cropped trousers that are perfect teamed with a plain top and wedges for daytime chic. 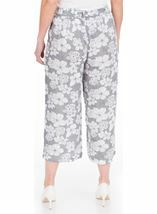 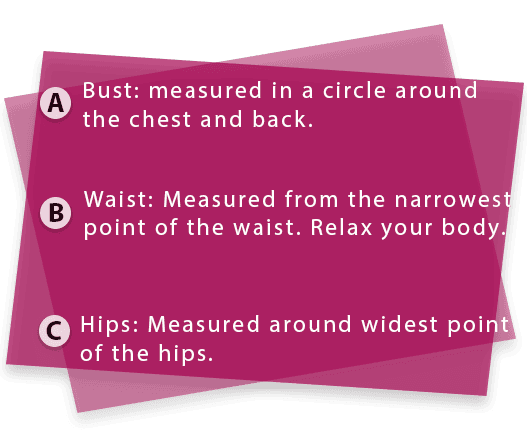 Featuring a part elasticated waist and self tie belt, a must have cropped trouser that fits and flatters the figure. Inside leg 57cms.